We feel that productions with budget can do better than to ask artists with highly skilled or dangerous acts to perform simply for ‘exposure’. It undermines the professionalism of the circus arts industry and disrespects the years of effort it takes to attain these talents. Our performers are UK based however we are available worldwide for bookings. I’m happy to talk further about ways we could bring our unique performances to the screen with your production. The only hesitation I have is the unfortunate issue we’ve encountered with many previous ‘Got Talent’ enquiries, the inability of the producers to organise fee’s for the not inconsiderable time and effort of professional artists performance. Would this be different for the ‘grand daddy’ of the Got Talent series, the American version? We had a fantastic experience with ‘Beat the Best’ who not only pay full fees but also offer great tech support and whose guiding principle seems to be a desire to display their contestants and their skills in the best possible light. If you feel your producers share these goals I would be more than happy to discuss and negotiate options to offer our services. This is Carter Palmer, part of the casting team for America’s Got Talent Season 9, based out of Fremantle Media offices in Los Angeles, California. 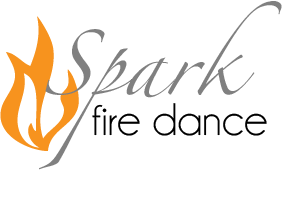 I came across your incredible fire dance videos and was very impressed! I know you all are based out of the U.K…. but I’d love to submit a video of their performance to our producers. I’d love to speak with you both over the phone to answer any questions and hopefully book this! It could be a fun experience for you all to meet our producers and find out more about the show. Our show has been sold in 147 international territories and being a part of this show gives you incredible exposure around the world.